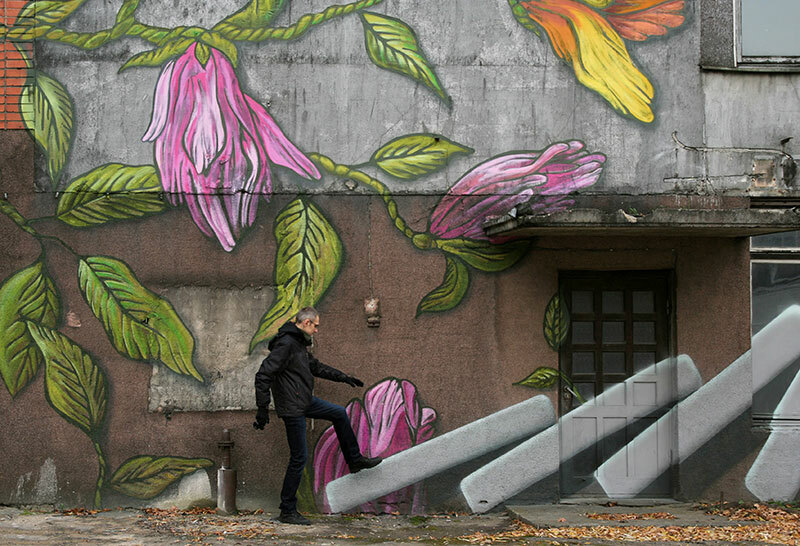 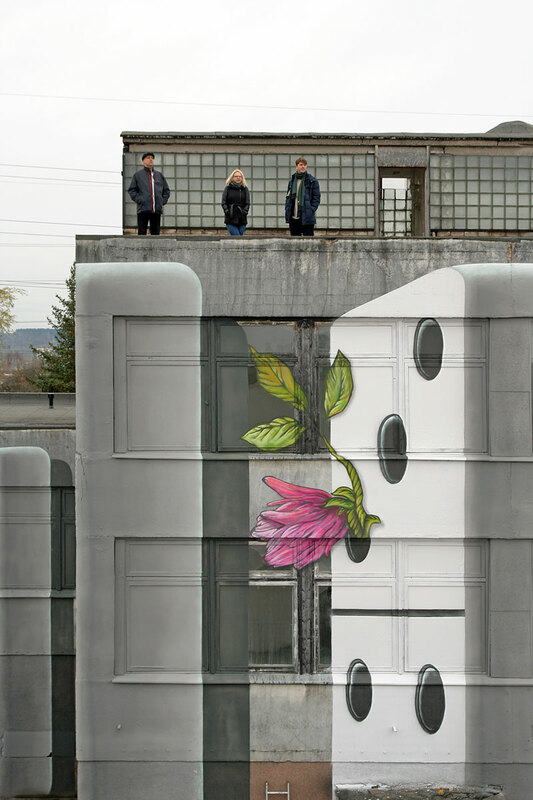 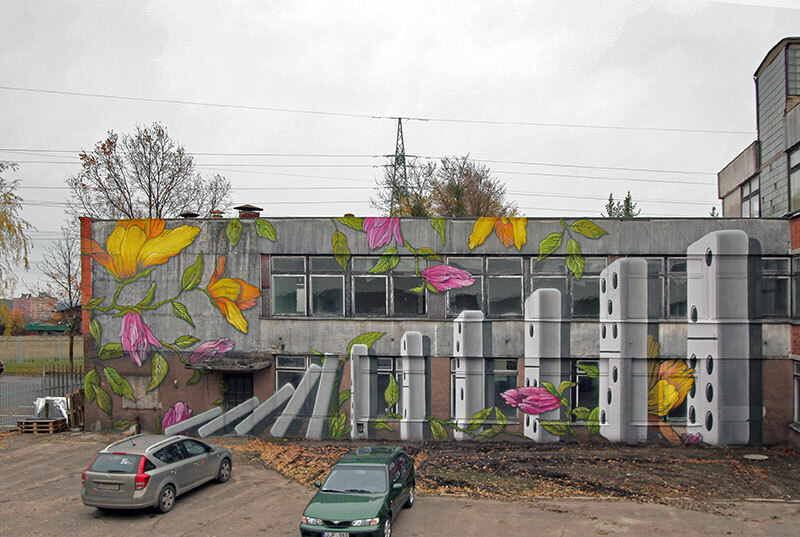 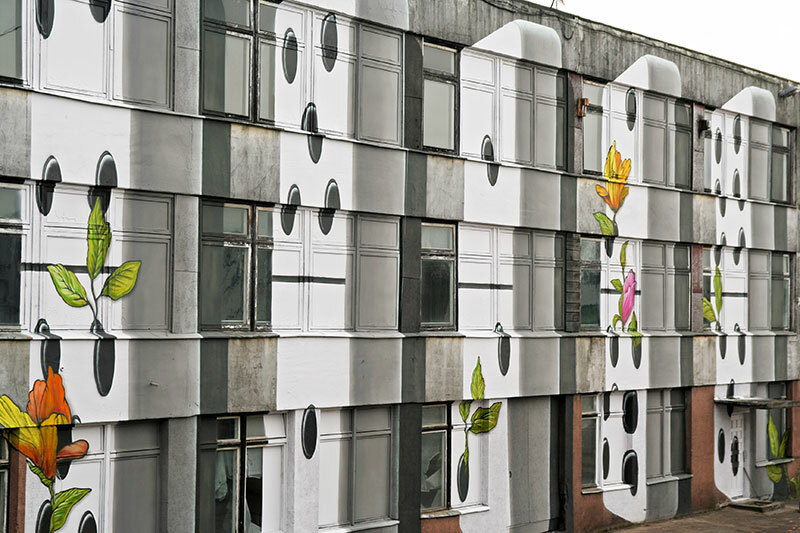 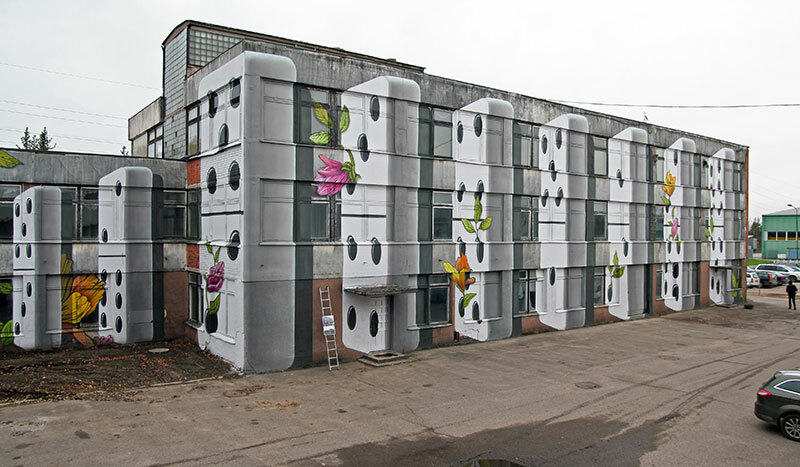 A domino mural painted on an abandoned factory by Lithuania-based design studio Gyva Grafika. 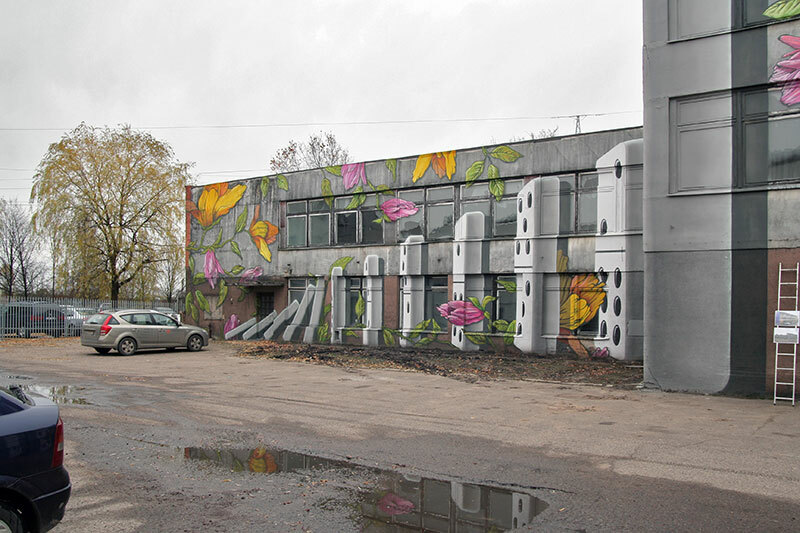 The mural was commissioned UAB AURIKA, a leading flexographic printing house in the Baltic States, to transform the well-being of the community as well as to change the negative perception of abandoned buildings. 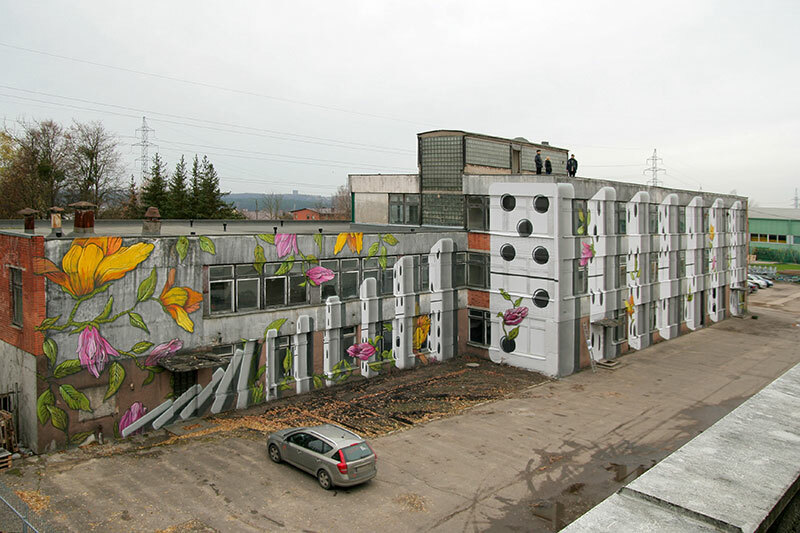 Gyva Grafika specializes in decorating interiors and exteriors for home, business and cultural spaces. 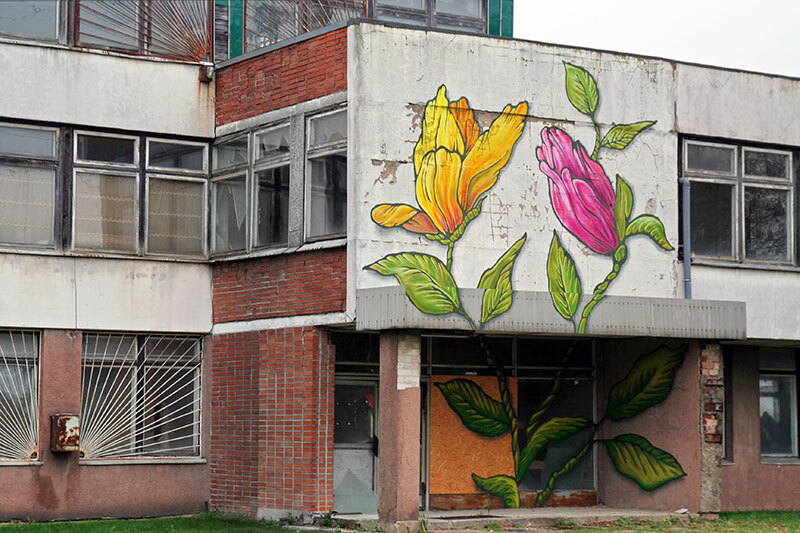 See more of Gyva Grafika's work on Behance or at their website. 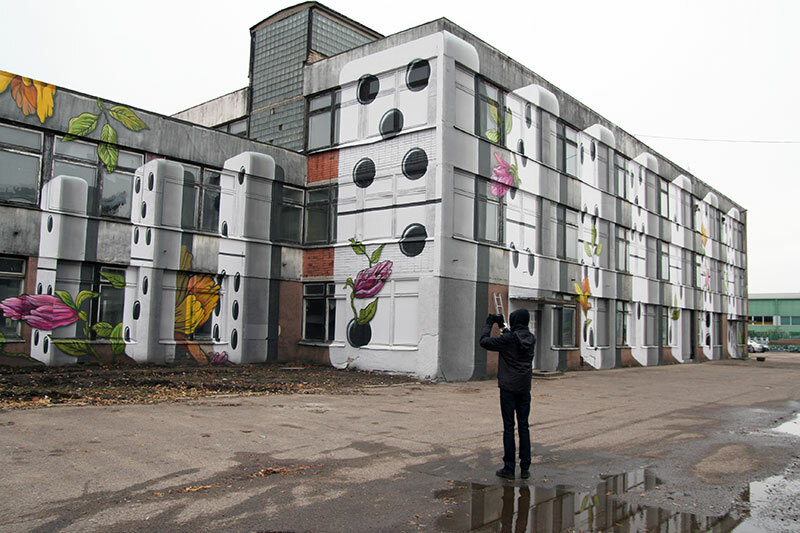 A domino mural painted on an abandoned factory by Lithuania-based design studio Gyva Grafika.